When I first began to think about becoming my own boss, I knew I wanted to run a cocktail bar. In my mind was a bricks and mortar premises. I spent a long time trying to decide what kind of cocktail bar would work best. It was a conflict between a quiet, relaxing cocktail lounge with some soft music, or what I felt the market in my surrounding areas needed, something lively, fun and vibrant. The realisation of the costs that a cocktail bar would add up to soon began to dawn on me. From the expenses and the price of renting to tax and licensing. At one point I even began to contemplate going down a different path. I began looking into the prospects of turning to food, potentially pizza or tapas. Although for many people, the food industry is a successful business, my gut didn’t want to listen. Having worked with cocktails since the early years of my career, I was constantly trying to put together a business plan that would combine my love for travel along with socialising with new people every day through cocktail making. Mambo was then born; a mobile cocktail bar hire that gives me the opportunity to bring my passion to you! From the age of nine I have been surrounded by drinks. To begin with I was a ‘barkid’, serving coffees behind my father’s bar, La Baita, in Lake Garda on the Alps. I then progressed onto studying Catering at college, a decision that was my father’s and that I obeyed. I then went on to work in lots of bars, hotels and restaurants, so many so I cannot name them all! I soon began to realise my passion, I found myself researching new cocktails constantly and no matter how long I had spent making cocktails during the day, I never got bored. All of this has lead me to where I am today. I decided to go with my heart and that has lead me to offering mobile bar hire services across the UK. It has to be one of the best decisions I have ever made. I have travelled, met some wonderful people, had some amazing parties and all the time getting to make cocktails! However, my first mobile cocktail bar hire event proved pretty difficult. It was June, usually the month when everybody gets excited about being in the garden, surrounded by friends in the warm sunshine. However, the weather was not on my side, a storm rapidly approached and what happened after is history! Looking back to my first ever hire to now, I am still spending a lot of time learning about this business. 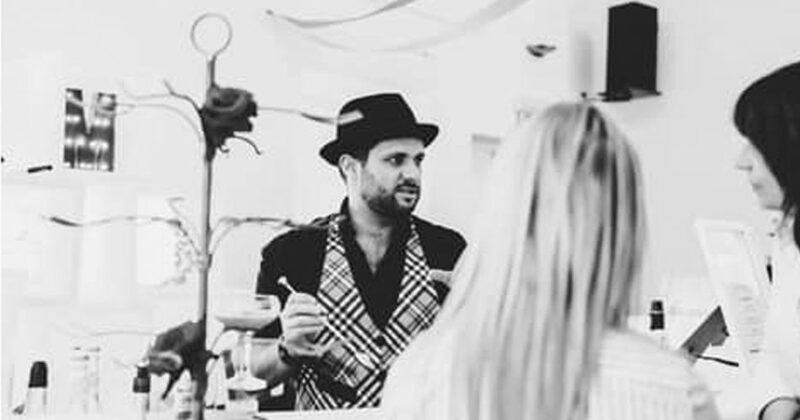 From writing a blog and developing my website, to creating an amazing mobile cocktail bar in the middle of a field, to calculating tax… I may know all there is to know about cocktails but running a business is definitely more intricate! Looking back, I realise that the most valuable lesson over the last few years has been pursuing what I am most passionate about. I absolutely love making cocktails and seeing my customers smile, which is what ultimately has got me through the harder times. My top tip in business would be to do something you love. No matter what, your passion will come through in your products and in your marketing. You will understand the market because you will be the market.